Product prices and availability are accurate as of 2019-04-11 15:57:22 EDT and are subject to change. Any price and availability information displayed on http://www.amazon.com/ at the time of purchase will apply to the purchase of this product. Want to know how to write legal contracts for your photography business or stock photography website? Then this product is for you. You can select from over 90 contracts and agreements. 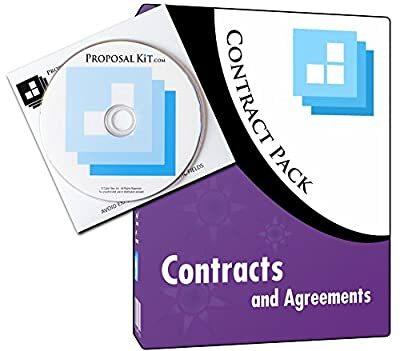 This library includes contract templates for pre-project protection, photography services, video, events and weddings, stock sales, model and property releases, problem notification and resolution, adult, title 18, Section 2257 protection. Simply edit the included agreements as needed for your project’s specific requirements. This Contract Pack includes the Proposal Pack Wizard - Novice Edition, automation software that helps you efficiently select, manage, and output your legal agreements for your clients. 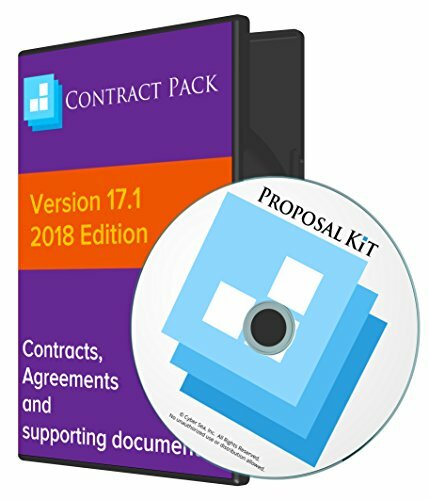 This Contract Pack comes with a user guide and free product support. A desktop browser organizer is included, too. The program works on all platforms, with Microsoft Windows, Mac and Linux, and it supports Microsoft Word and other word processing programs. You can even sign contracts on your iPad (using 3rd party apps not supplied). 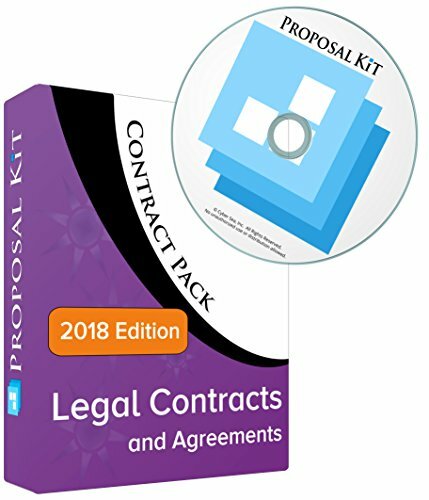 If you need only legal contracts, purchase this Contract Pack and you’re good to go. 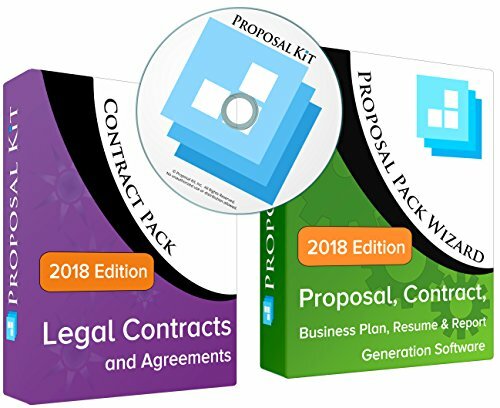 But if you need a product that will help you do estimates, write proposals, manage project planning and create contracts, be sure to check out Proposal Kit Professional for a cost-saving all-inclusive bundle.